Merry Christmas and Happy Holidays to you all from everyone here at The Hockey Writers! The St. Louis Blues have not had the season they hoped to have. In fact, that’s an understatement. With the Christmas break at hand, they’re tied for last in their division, and are only one point ahead of last place in the Western Conference. It isn’t what anyone had in mind entering the season, least of all general manager Doug Armstrong, who is now looking at his team and weighing every potential option moving forward. Wouldn’t it be nice, though, if instead of Armstrong doing all the heavy lifting, Santa swooped down the chimney at Enterprise Center and dropped off some gifts to help kick start the Blues? If Jolly Old St. Nick wants to turn the Blues’ season around, here are some items on the team’s wish list. Let’s be clear: the Blues have been more bad than unlucky so far this season, but that isn’t to say luck hasn’t played a part. On the whole, most Blues players are shooting more accurately than they did last season, but the few players whose shooting percentages (SH%) have dipped are noteworthy. 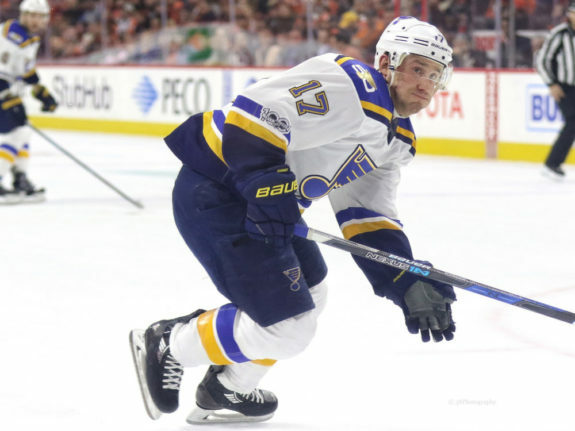 Five key forwards, Robby Fabbri, Patrick Maroon, Brayden Schenn, Jaden Schwartz and Vladimir Tarasenko have all seen their shooting percentages drop precipitously from last season to this one. Of those five, Schwartz and Maroon have seen steep declines, with Schwartz dropping from 15.3 percent last season to 6.7 percent so far this season and Maroon dropping off from 12.1 percent to 4.7 percent. It is not a coincidence that Schwartz and Maroon, who now have five goals between them, are the two biggest disappointments offensively so far. Other than David Perron, who is up almost 10 percent, no Blues players have seen quite enough of an increase to counteract such significant players having such poor shooting success. Cumulatively, this has led to the Blues being in the bottom-third of the league in goals scored per game, averaging just 2.8. Of course, shooting percentage is more than just luck; it’s heavily dependent on shot selection and high danger chances created. But it’s hard to deny that luck plays a pivotal role, especially when players have dropped off as much as Schwartz and Maroon. If Santa wants to give the Blues a simple gift, he can give these players just a dash of luck so they can get back on track. 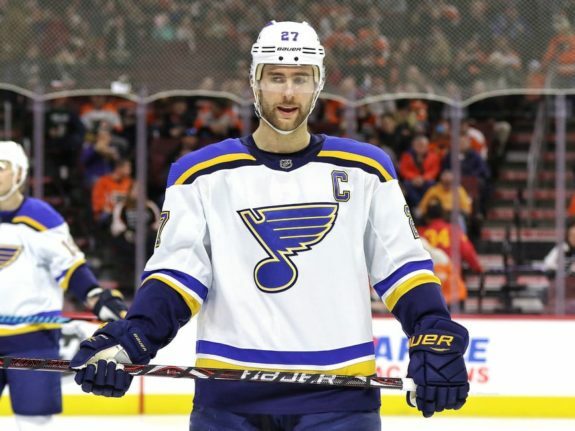 There’s a reason that the names of players like Alex Pietrangelo and Tarasenko have circulated in the rumor mill: they are team leaders and the team has struggled mightily this season to find consistent chemistry. We can only guess and speculate at what goes on behind the scenes of an NHL team, but when Armstrong publicly criticized his leadership group at the press conference announcing his new interim head coach, he let the cat out of the bag that they were part of the problem. It’s not a likely path forward from here, but the Christmas miracle scenario for the Blues would to see these three men (and the other team leaders who don’t wear letters on their chest) settle their differences and, like a scene out of the Wizard of Oz, realize that they had the heart, courage and brains to lead this team all along. With Pietrangelo set to return from injury soon, the full group will be on the ice for the first time in over a month. Maybe, with a little help from Kris Kringle, they’ll finally gel together and start leading this team down the path to success. Jake Allen has been the recipient of constant criticism since taking over the net for Brian Elliott after the latter was traded at the draft in 2016. While much of that criticism has been fair, there are those who would like to believe that all of the team’s ills would be healed if Allen were replaced, which simply isn’t true. In fact, Allen has, for the most part, settled down from a rocky start to the season to become a more-or-less average goaltender who keeps his team in games. That’s good, because with the decision to waive Chad Johnson earlier this month, Allen’s backup Jordan Binnington has never started an NHL game. Allen’s downfall is that he still lets in an awful goal once in a while, such as the one Josh Leivo scored off his back to put an eventual 5-1 drubbing at the hands of the Vancouver Canucks out of reach. Yes, the opportunity only came after a botched clearing attempt by Tarasenko, but Allen failed to hold the post in his reverse-VH stance, and as a result, leaves Leivo the room to score a truly embarrassing goal. These are the kinds of goals that break a team’s back, particularly a team that has little self-confidence to begin with. If Allen wants to right the ship for the team this season, he simply cannot continue to allow soft goals like this one to get past him. Maybe, if his goalpost isn’t going to back him up, he can get a little relief from the North Pole and find better luck after Christmas. Christmas seemed like it would be bleak for Blues fans when reports surfaced last week that former Chicago Blackhawks head coach Joel Quenneville was expected to sign with the Philadelphia Flyers. Thankfully, for Blues fans at last, the report seems to have been incorrect in the particulars, and Quenneville remains a free agent. Unfortunately for St. Louis, he is a gift that is on many team’s Christmas lists, and there’s only one to go around. 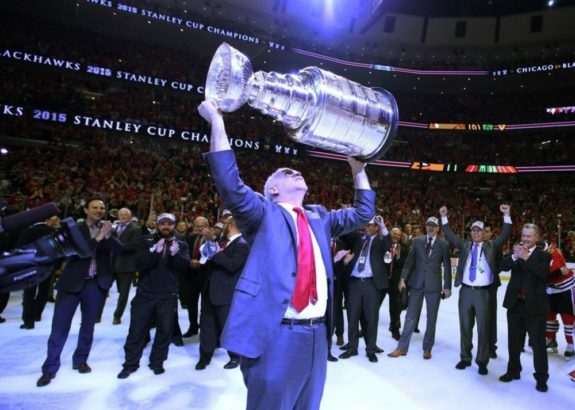 The future hall of fame coach brought three Stanley Cups to the Blackhawks and is second all-time in head coaching wins. The Blues would love nothing more than to see the coach they once foolishly fired sitting under their tree when they get back from Christmas break. Would Quenneville be willing to come to St. Louis? It’s possible. He is said to have liked the city his first time around and it might be sweet for him to get some revenge on the Blackhawks for making him the scapegoat of bigger problems. What better revenge than by coaching their arch-rival to victories over them? But he will have no shortage of suitors and is reported to be taking his time in making a decision. Could that time be after he spends the holidays with his family? Perhaps. Or perhaps he’d rather sit out the rest of the season. Whatever the case, there’s no doubt that he is at the top of many teams’ wish lists. Perhaps Santa will find it in his heart to give a perennially down on its luck franchise like the Blues the greatest Christmas gift of all by bringing Quenneville back to his first home. The Blues have been awful so far this season. Every fan is hoping that they can find better fortunes in the new year, with a lot of the season left to be played. It’s a long shot, but if the Blues can unwrap some of these gifts before they come back from their holiday break, they will be better positioned to get back into playoff contention, even if those chances seem remote at the present. But rather than hoping that Santa will have these gifts for them on his sleigh, fans hope the team plans to fix some of their problems themselves. It’s well past time.